Exciting Changes Are Underway At Coast. 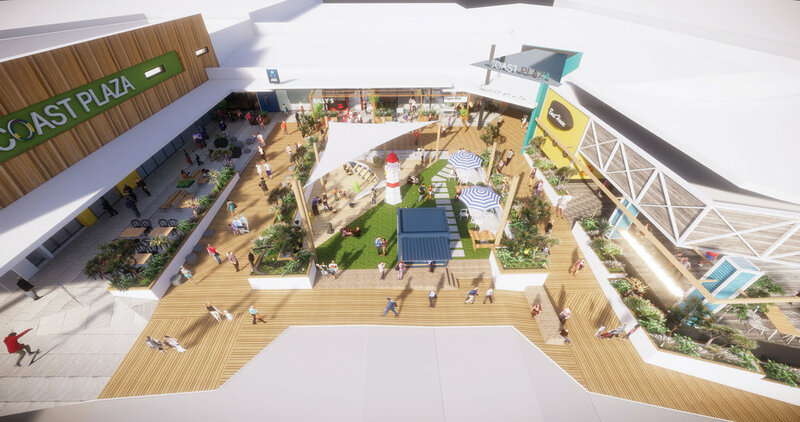 Coast Plaza will commence a significant transformation with revitalised public spaces, better community connectivity, and two new precincts providing a range of food, beverage, health and wellness offerings. The changes will reposition Coast Plaza as a neighbourhood shopping centre with a distinct local focus that reflects the needs of Auckland’s vibrant Whangaparāoa Peninsula community. Coast Plaza is managed by Colliers International’s award-winning Real Estate Management team, which oversees New Zealand’s largest portfolio of shopping centres. National Director Richard James says the centre’s owners are committed to its revitalisation. James says some work has already been carried out, including the installation of improved lighting in the car park areas. The first stage of a new health and wellness precinct is also underway, with a brand-new Club Physical gym opening last month. Future tenants are likely to include a medical centre. New leases have been signed for a childcare facility, licenced for 125 children, and a Chipmunks Kids Playland. Works to facilitate the space they will occupy are likely to commence in the next three months. Inside the centre, new food and specialty retailers will be targeted to enhance the offering. James says the most significant changes initially are planned for the entrance and outdoor area on Main Street. “The design concept calls for a better-defined centre entrance leading from a refurbished town square,” he says. “A brand-new play area will make the town square more family friendly, while a new retail kiosk will cater for pop-up type operators. “Surrounding the town square will be a new food and beverage precinct, with an attractive, northwest-facing sheltered dining terrace. This will be a great place for families to gather, unwind and share a meal and a drink." James says the planned upgrade also envisions better connectivity with the Whangaparāoa Town Centre, opposite Coast Plaza’s entrance. “Our team is working closely with the Hibiscus and Bays Local Board to ensure our plans are a good fit with the board’s redevelopment of the underutilised area outside the library.